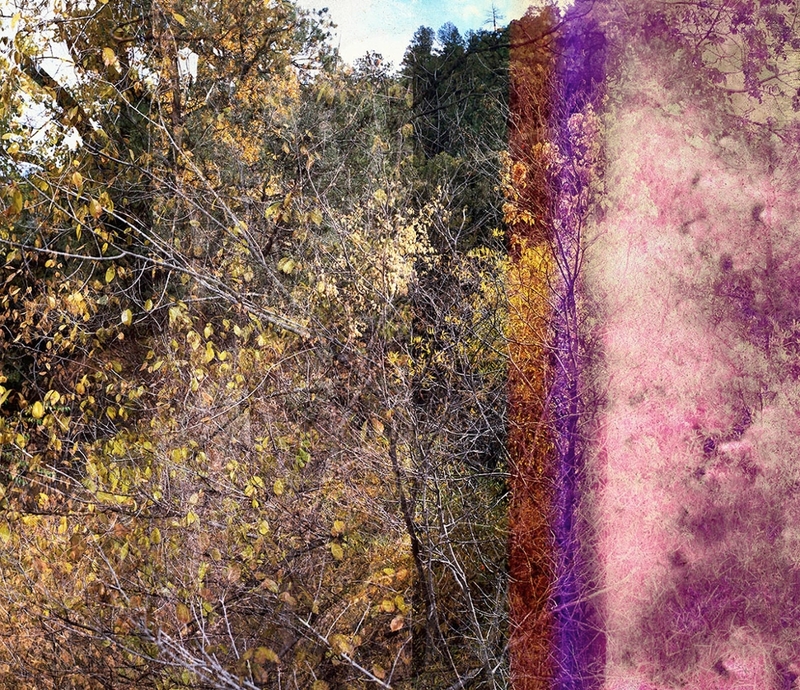 Doug Fogelson uses photography to raise critical questions about humankind’s relationship with the natural world. 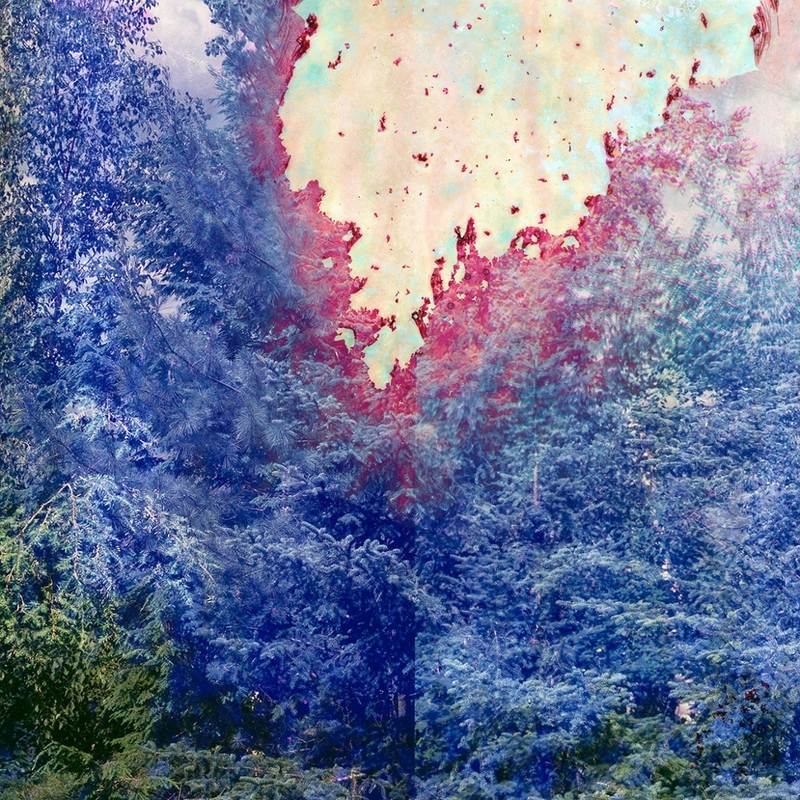 For his series Creative Destruction (2015-2016), he takes solitary walks through wilderness preserves and landscapes tangled with plant life, taking photographs on film that he later bathes in corrosive chemicals. The process draws vivid colors and crystallized patterns out of the emulsion and also deteriorates large areas of the negatives. Serene compositions become inky remnants that reflect both the complex beauty of our living planet and the environmental degradation caused by human industry. 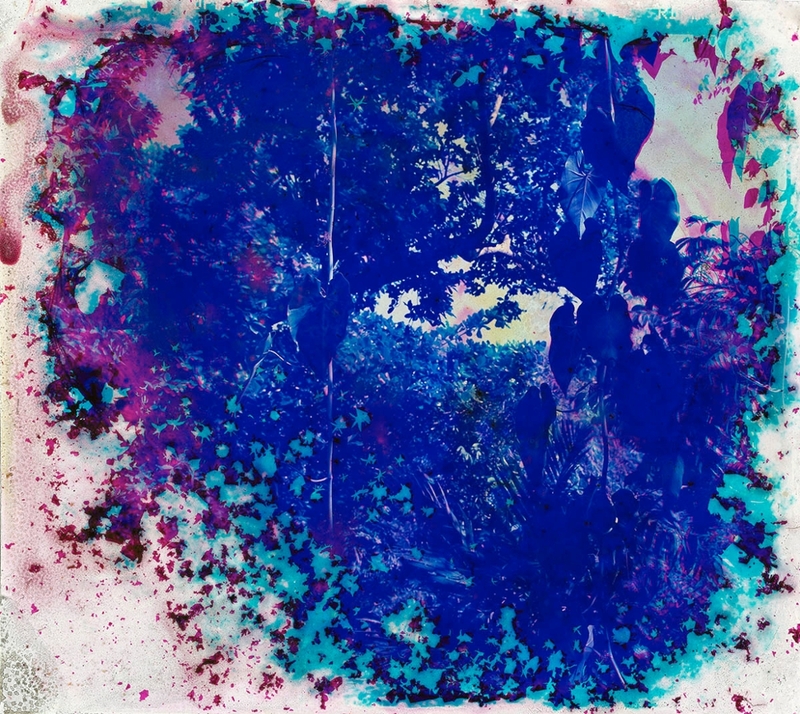 Fogelson scans the results in high resolution and enlarges them as digital prints. Ultimately, the photographs overlay the richness and spiritual depth that can be found in the natural world with the wondrous yet often destructive effects of human synthesis, making the two inseparable. 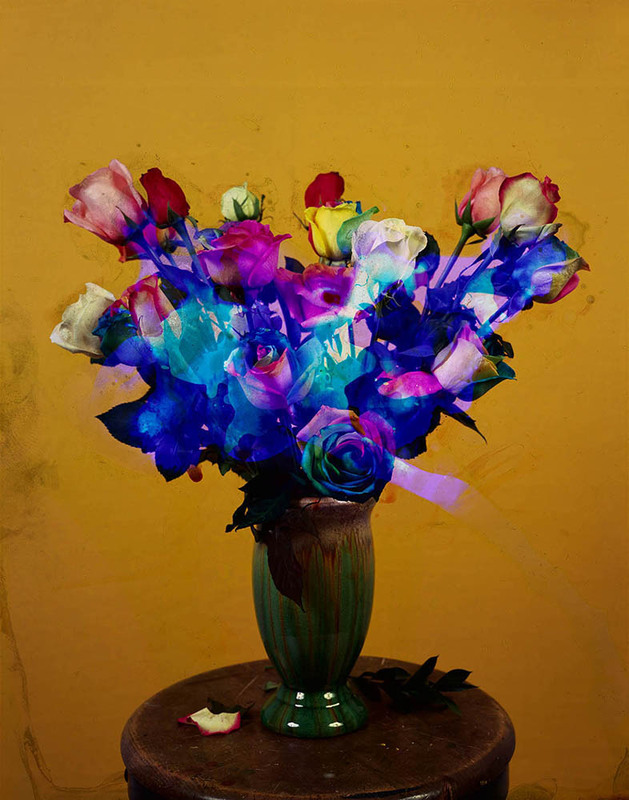 In another series, Potpourri (2012), Fogelson focuses on the cultivation of commercially sold flowers and their role in contemporary culture, producing images that are lush, vibrant, and colorful. Fogelson questions why, in an effort to appreciate the beauty of nature, there is an industry that mass-produces, cuts, and distributes flowers in such an unsustainable way. 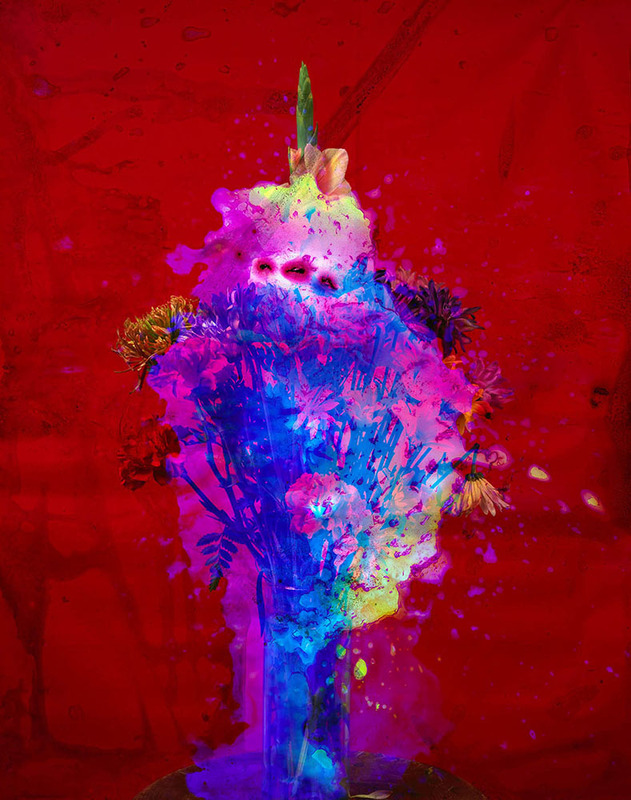 Each composition is created and altered by hand in the color darkroom, using experimental techniques with bleach and floral “pressings” on large format film. The resulting works are complex and layered, calling attention to the notion of using the often-exotic blooms decoratively and as gifts amid an environment in crisis. Fogelson completed a BFA from the School of the Art Institute of Chicago (1994). 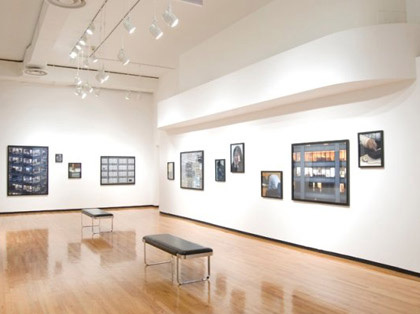 His work has been exhibited nationally and internationally, including Linda Warren Projects, Chicago, IL (2012); KEPCO Art Center, Seoul, Korea (2010); Palm Springs Art Museums, Palm Springs, CA (2007); and the Walker Art Center, Minneapolis, MN (2005). 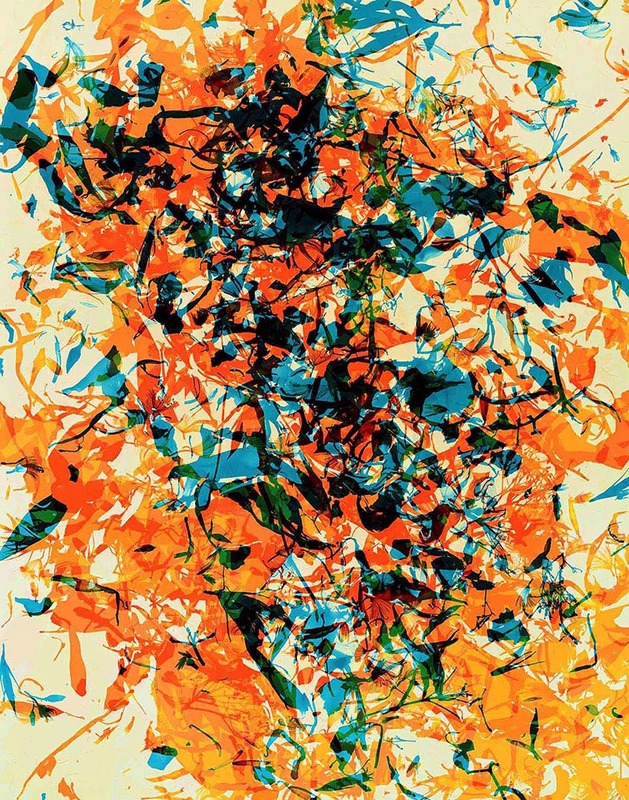 Fogelson’s work is held in private and public collections, including the J. Paul Getty Museum, the Palm Spring Art Museum and the Elmhurst Art Museum. Fogelson has completed a number of public art commissions around Chicago that can be seen on the 69th St. Red Line station of the Chicago Transit Authority and at the Wicker Park Library among others. He is founder and director of Front Forty Press, a fine art publishing company and is President of the Board for Filter Photo. -A portion of this essay is an excerpt from Doug Fogelson: The Earth as We Know It, Allison Grant, Assistant Curator, for the Center for Humans & Nature. The full essay can be read here.